It is a hot, sunny spring day in Melilla, Spain and a Syrian family is sheltering from the sun under a plastic tent while a group of young Africans are chatting in the shade of a small bridge. They are all killing time outside the Centre for Temporary Residence of Immigrants (CETI). Currently, there are around 1,200 people staying at the CETI which has an official capacity of 480. At times the facility accommodates as many as 2,000 people. Journalists are not allowed inside, but earlier this year two Spanish MEPs visited the complex and described it as "miserable" and resembling a refugee camp. Residents of the CETI are nevertheless considered the lucky ones. They have made it into Europe at a time when the Spanish Parliament has just granted more power to its Guardia Civil, which patrols the borders of Melilla and Ceuta – Spain’s two North African enclaves – to push would-be migrants and asylum seekers back into Morocco. Melilla and Ceuta are among the few remaining routes into Europe for many migrants and asylum seekers who lack the funds to board smugglers boats bound for Southern Europe. Many spend months or even years in temporary camps in neighbouring Morocco waiting for an opportunity to climb the 6-metre high, triple-layer of barbed-wire fences that surround Melilla and Ceuta. Those that make it over the fences are usually intercepted by border guards and immediately returned to Morocco. Rights groups have long described such push backs as a serious violation of European and international laws guaranteeing would-be asylum seekers access to international protection and non-refoulement (the principle of international law that forbids asylum seekers from being returned to danger). The triple-layer of barbed-wire fence that separates Morocco from Melilla. But a new public security law passed by the Spanish Parliament with the support of the ruling conservative People’s Party in late March authorises the “rejection” of people trying to cross into Melilla and Ceuta and their immediate return to Morocco. “It is a shame how the law has been passed – how quickly and for the purpose of creating a legal armour to protect some Guardia Civil members who constantly break the law regarding something that directly addresses human rights issues,” says José Palazón, one of Melilla’s most active campaigners on behalf of migrants. Late last year he published a video showing Guardia Civil officers hitting a migrant on the fence. The officers involved claim they were attacked first – a judicial investigation is looking into the case to determine whether the eight border patrol officers should be prosecuted. Bernardino Pardo, Guardia Civil agent and spokesperson for an organisation advocating for the rights of Spain’s security forces says the behaviour of the officers at the border is “legal and proportionate”. “We’ve been proceeding like this for the last 20 years and I don’t understand why we are getting so much criticism lately,” he told IRIN. 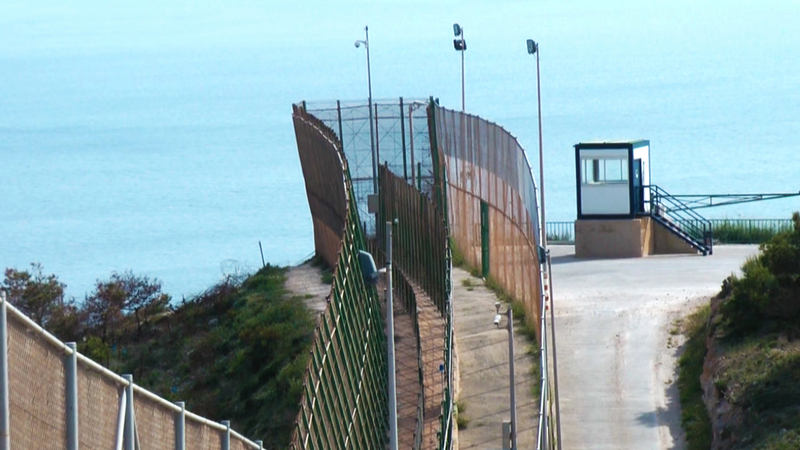 Most migrants and asylum seekers reaching Melilla don’t come over the fence. Out of nearly 6,000 people who successfully reached the CETI in 2014, according to Guardia Civil figures, only 38 percent came via the fence. Fence jumpers were mainly Sub-Saharan Africans from Mali, Cameroon, Ivory Coast and Nigeria. The rest reached Melilla by boat or through the official border crossing-point at Beni Enzar. Some risked their lives hiding inside the false bottoms of cars whereas others, mainly Syrian families, bought fake passports in Morocco. In September 2014, the Spanish government started allowing Syrian citizens to apply for asylum at the border. Those registered at the centre are not required to stay there, but most cannot afford to pay for food and shelter elsewhere. With no right to work in the 12-kilometre square city, their main occupation is waiting. The Centre for Temporary Stay of Immigrants (CETI) in Melilla has an official capacity of 480 but sometimes accommodates as many as 2,000. Melilla's reception centre for migrants has an official capacity of 480 but sometimes accommodates as many as 2,000. Those who apply for asylum in Melilla cannot leave the city until a decision has been taken on their application. The Spanish Commission for Refugees (CEAR), an NGO, says the average time to reach a decision for Sub-Saharan Africans is one and a half years. For Syrians, the process takes no more than two months. Out of 523 people who applied for asylum in Melilla in 2014, 500 were Syrians and only five were sub-Saharan Africans who had jumped the fence, even though the UN refugee agency, UNHCR, estimates that 60 percent of those who enter Ceuta and Melilla via the fence are potential refugees. “Firstly, they can’t access the office where they need to apply, which is on the Spanish side of the border. And secondly, they don’t want to spend so much time in Melilla. That’s why so many don’t [apply for asylum] even though probably many are fleeing from danger or persecution in their countries,” says Francisco Solans, a spokesperson for the Spanish lawyer’s federation. In most cases, African migrants wait for a judge to decide that they must be transferred to a detention centre in mainland Spain. Depending on how many people are registered at the CETI, this can take as long as a year, as in the cases of the two young African men that IRIN interviewed. But once in a detention centre, Spanish law limits the time a person can be kept in immigration detention to 60 days. Deportation procedures often take longer and as a result, nearly half of migrants detained in 2013 had to be released before they could be deported, according to official figures. 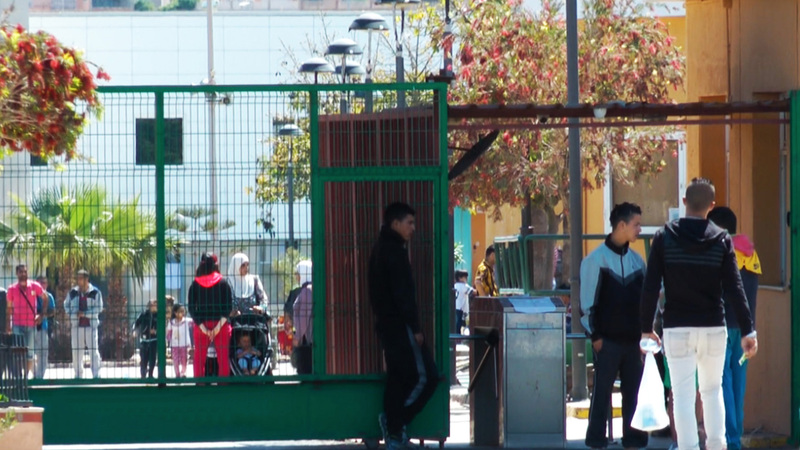 The high numbers of migrants registered at the CETI at certain times also means that Spanish authorities cannot transfer all of them to detention centres. Some end up at shelters in mainland Spain run by NGOs where many abscond before they can be deported. In both cases, the migrants’ high stakes gamble has finally paid off. They have reached Europe’s borderless Schengen area and are free to move on to other countries where the prospects of finding illegal work are better.